Fanny Newcomb sucked the blood from the knuckle of her right thumb. Her fingers were stiff and reddened; her nails were torn. Her cuffs were rolled up to her elbows and she’d undone the top three buttons of her bodice. She dabbed the glow from her forehead with her crumpled handkerchief and surveyed her opponent. The battle had just begun. The Hammond typewriting machine was not entirely uninjured. 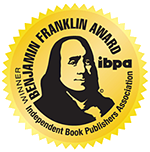 The A, P, and W keys were snarled tightly and buried deep in the carriage well. The typewriter was immobilized. But Fanny needed to master the machine now. If she couldn’t teach her students how to create perfect correspondence on the typewriting machine by next Wednesday, all hell would break loose. All hell in the grand personage of Sylvia Giddings, Founder and Principal of the Wisdom Hall Settlement House. Giddings’s outlook, authority, and decisions were absolute. She did not allow her employees to fail her. And Fanny was entirely in Sylvia’s employ. Four months ago—when she answered Sylvia’s newspaper advertisement for a woman to teach business courses—Fanny had consummate confidence in her abilities. After all, Fanny had managed her father’s law office for ten years. If Fanny could file papers, keep accounting ledgers, and take shorthand, she could teach younger women to do so also. Fanny excelled at every office chore; she just had never seen a typewriting machine before. But four months ago Fanny was at the end of her resources. Lying to Sylvia was her only option. Like Sylvia, Fanny was a spinster. But unlike Sylvia, Fanny’s prospects had shriveled to almost nothing after her father’s death a year ago. Since then, Fanny had both lost her livelihood at the Law Office and failed as a ladies’ companion. Teaching at something as new as a settlement house—especially one in New Orleans’ roguish Irish Channel—appealed to her as interesting, useful work. And Fanny was definitely qualified to teach. Well, almost. Her fidgeting was interrupted by a resounding thump. And then another, both echoing from the third floor and down to Fanny’s first floor classroom. Even at eleven at night, Sylvia’s carpenter was still hard at work, building a staircase from the new third floor up to the roof. The work of turning Wisdom Hall into a glorious edifice of immigrant education—Sylvia’s Grand Plan—never ended. Fanny dabbed her forehead and neck with her handkerchief again. Although it was only April, New Orleans was choked with a sudden heat that was worthy of summer and the early evening breaks of rain only intensified the humidity. Closed-up in the classroom, Fanny was drenched in frustration. Still, she carefully unglued the keys from each other and examined the machine to make sure she had not permanently injured it. She reviewed the diagram of the keyboard pinned on the easel and commanded her fingers to press each key with equal strength and rhythm. She’d almost completed typing the date when the 8 and 9 keys jammed. The paper was smeared and unreadable. Fanny ripped it from the wheel, enjoying the harsh whir she forced from the machine. She picked up the machine—ready to shake it into submission—and then thought better of it. Sometimes a mean machine really needed a sharp kick. She set the machine on the floor and aimed her boot at it. But before she could discipline the keys, the infirmary night bell rang out from the front gallery. this was her best bodice. Two sturdy black dogs rose from their beds at the back of the hallway and galloped toward the front door. “Ready to break the rules again?” Fanny asked Cain and Abel as she pulled the doorknob. Fanny hurried the boy through the dark halls toward the back of Wisdom Hall. She barged through the Infirmary door to find Olive looking up from behind a table of dark apothecary bottles. “Of course we must.” Olive took a key from her pocket and turned the lock on the medicine cupboard. The sultry Friday evening had enticed the inhabitants of the Irish Channel out of doors, and young Liam gamely maneuvered between men, women, donkeys, and dogs as he led Fanny and Olive through the soft darkness. Fanny had never been in this direction from Wisdom Hall, and quickly inventoried the new landscape: the battered old mansions that were as large and imposing as Wisdom Hall; the tall brick warehouses that were built almost into the streets; the slight shotgun houses that seemed to sink into the soft soil; and…was that a church steeple? After five blocks and one near-miss with a pair of drunken roughs, Liam pointed toward a swelling of gaslight coming from between two saloons. “There!” As Liam led the women forward, Fanny saw dozens of men and women crowded together, staring into the dimly lit space between the saloons. Just beyond the crowd, the doors and windows of both saloons were pinned open to the warm evening. Lights bounced from lamp to mirror in the saloons, illuminating tables of card players, drinkers, and the women who entertained them. Conner’s Court, New Orleans, America ~ Irish Only was painted in broad strokes on a wall. 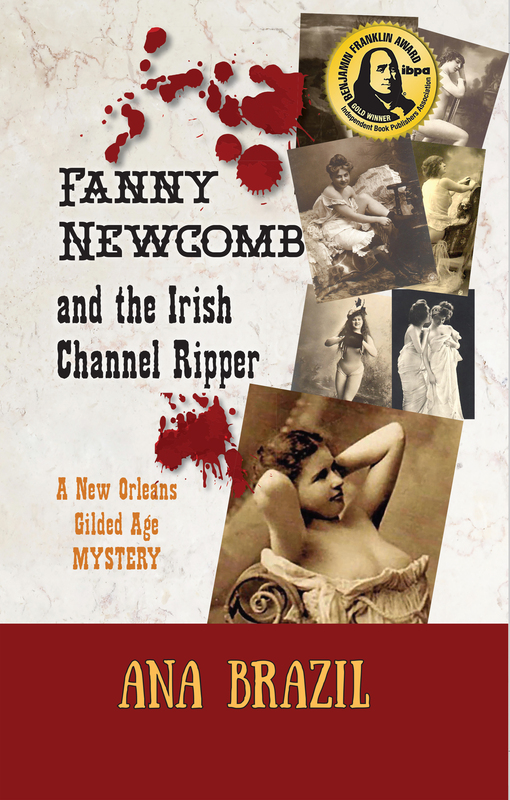 Even from the calmness of her father’s downtown law office, Fanny had heard about Conner’s Court, a well-known enclave of New Orleans’ depravity. Could it really be as evil as it was reputed to be? Fanny jammed her hands into her skirt pockets, embarrassed by how absolutely Olive had dismissed her. Despite all of Fanny’s hard work at Wisdom Hall, Olive and Sylvia still treated her like a simple-minded employee. Fanny turned toward the growing crowd that began to envelope her. Were there fifty, sixty people here now? She inspected the men and women closest to her. Something had happened here. Something made that pregnant woman wipe her sleeve on her eyes; something made that man lose his dinner against the wall. Something was wrong here. clothes—even her ink-spotted skirt—were better made than the grimy rags worn about her. Even in the darkness, Fanny could not pretend she belonged in the Irish Channel. Whispers cascaded throughout the court: Mother of God!…poor wee thing…what type of monster…I’m going to be sick meself. More people collected behind her, immersing her in the odors of alcohol and the heavy, stale scent of Mississippi river. Fanny felt warm stale breath close to her ear and turned quickly. A thin woman offered a crooked smile. “What happened here?” Fanny demanded. Fanny caught sight of the dried blood behind her own fingernails and remembered her failed attempts at mastering her typewriter machine. A shadow of responsibility and guilt hovered over her. She should be back at Wisdom Hall. She should be training herself on that accursed machine. Instead, Fanny stretched to her full height and steeled her eyes into the darkness of Conner’s Court. If someone was murdered blocks from where she lived, Fanny Newcomb wanted to know all about it.